V mesh fencing is one of the easiest ways to ensure that your property is kept secure. Due to its versatile appearance it can be used for a number of different premises, surrounding large areas without restricting the view. The most cost effective V mesh fencing system available is our Taurus range of V mesh fencing systems is ideal for basic demarcation. Mainly applied to public areas such as schools, parks, sports arenas and many other residential areas due to its rigidity and aesthetic appeal. Taurus Super V mesh fencing is the perfect deterrent for any commercial business wanting the extra security edge. 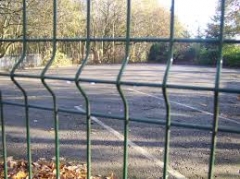 As one of the leading fencing providers in the North West, One Stop Fencing will provide your business with affordable and reliable protection. 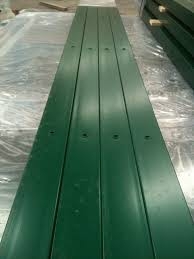 You can purchase our Taurus V mesh fencing in complete bays with a powder green finish. Each bay is 3.0 metres in width and consists of one fence panel and one intermediate fence post complete with fittings. The price that is listed is per linear metre. Alternatively, Taurus V mesh fencing can also be purchased loose per individual item. Combining a rigid V mesh style panel with a box section post with integrated fixings creates a simple, yet effective, mesh fencing system. The Taurus V mesh fence panels are manufactured using 5mm diameter which is welded at each intersection. Horizontal profiled beams are added to the panel to give additional strength and to remove flexing in the panel. 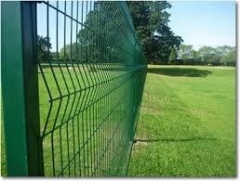 The mesh aperture consists of 200 x 50mm mesh spacing which provides excellent see-through visibility and protection. We have a range of other colours are available, so please contact the store directly on 01204 578012 or email us via our contact form for pricing and availability. We also deliver throughout mainland UK so please also contact the store for a delivery charge.